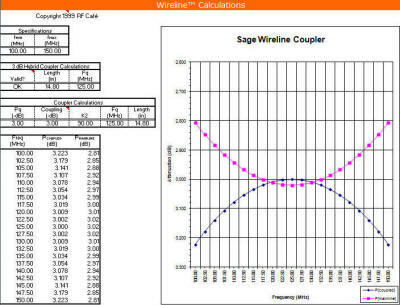 Wireline is a coaxial cable product manufactured by the Sage Labs, that greatly simplifies fabrication of high frequency quadrature couplers - among other things. This MS Excel spreadsheet greatly simplifies the calculations presented by Sage. Future upgrades for the Wireline Calculator are free - just send me an e-mail when you see a new version advertised, and I'll send you the new version. Only $10 (free with purchase of $25 or more). Click here to order Wireline Calculator. Your copy will be e-mailed immediately upon receipt of payment. FREE for the asking with your order of $25 or more worth of other RF Cafe items. 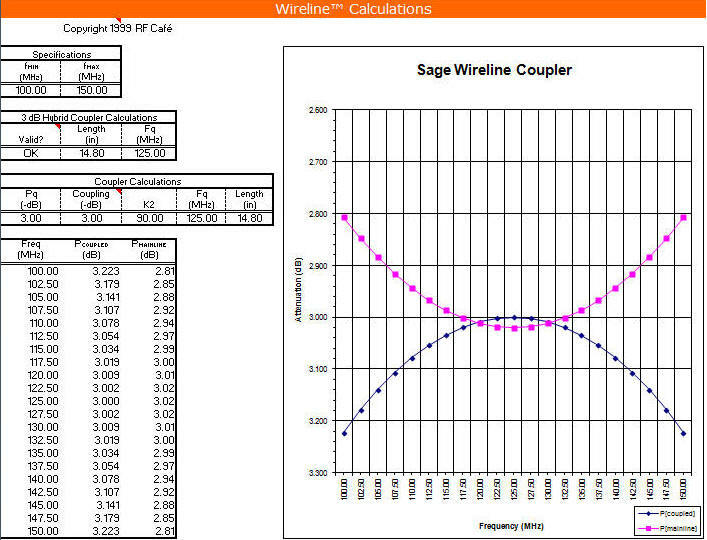 Spectrum Microwave bought Sage Labs a while back and has posted the Wireline & Wirepac Design Guide on their website. Instructions can also be read off of the original Sage calculator images below.